Vande Bharat Express was flagged off from Delhi Railway Station by Prime Minister Narendra Modi on February 15. Ever since the launch, the train has become a big hit. A foreigner was highly impressed by this awesome ‘Made in India’ train and he gave feedback after his first experience. “New Vande Bharat Express Train 18 Executive Class is here guys!! So many of you recommended us to take this new Indian train from Delhi to Varanasi to Delhi with its high speed so here we are trying it for the first time. 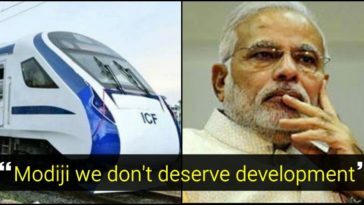 The Vande Bharat Express also called train 18 is made 100% in India,” Volpe Where Are You wrote on YoutTube channel. 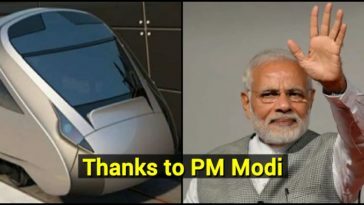 Vande Bharat Express is designed and developed by a Chennai-based Railways Production unit, Integral Coach Factory just in a total span of 18 months which also includes the in-house design and manufacture, computer modelling and working etc. 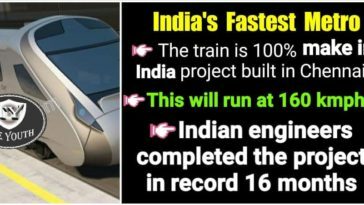 Train 18, which is India’s fastest train from New Delhi to Varanasi, can lit the track at a high speed of 160 kmph. 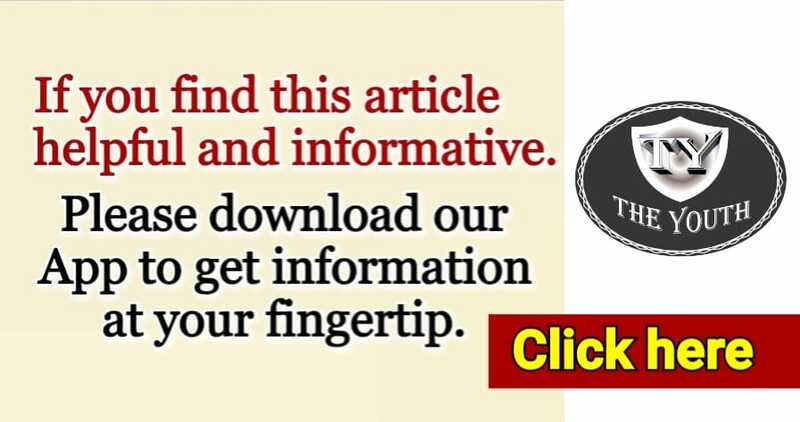 IN fact, it has travel classes like Shatabdi Train with high-class facilities in order to provide a great travel experience to passengers. “Namaste guys, we share our journey boarding the new Vande Bharat Express! We loved this train, it looks really like high-speed trains in Europe and service was on point! Thanks to all of you guys who recommended this journey! Love you all!,” the channel wrote. The train will cover the distance between “New Delhi and Varanasi in 8 hours” taking halts at Kanpur and Allahabad. It has 16 coaches (2 executive chair car and 14 chair car) and is available on all days except Mondays and Thursdays. The train will have two executive compartments which will accommodate as many as 52 seats each and trailer coaches will have 78 seats each. The train will operate from Delhi at 6 am and will arrive at Varanasi at 2 pm. 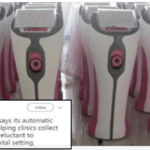 The train coaches are well-equipped with automatic doors, AC, GPS based audio-visual passenger information system, onboard hotspot Wi-Fi for entertainment purposes, and bio-vacuum toilets. Each coach has a pantry with the facility to serve some delicious hot meals, hot and cold beverages. 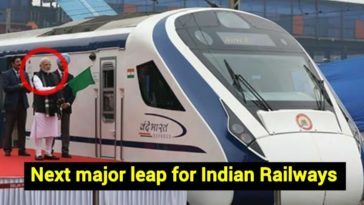 This ‘Make in India’ train, regarded as the successful train in terms of speed and comfort has regenerative braking system in the coaches which can save up to 30 per cent of electrical energy. 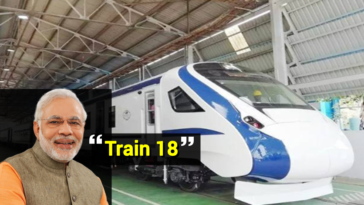 Train 18, manufactured by ICF Chennai at a whopping cost of Rs 100 crore, recently became India’s fastest train by lighting up the tracks over 180 kmph during trial-run on a section of the Delhi-Rajdhani route. 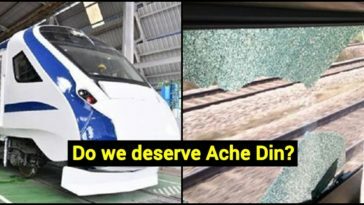 The passengers are now relishing a bullet train-like experience.